Travel to vast hostile worlds in Campaign to find your old team. Push through the factions standing in your way to the truth. 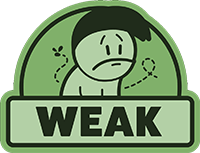 Also, with co-operative play, experience an added challenge as the enemies you fight become tougher. Versus is the true test of friendship. Don't lose your focus by collecting power-ups in the map for instant abilities, elements, and maybe, a chance to survive. Versus comes with eight fully customisable rule sets, for quick scraps or longer fights. Go it alone in Free-For-All, or buddy up in Team Battles and share the victory. Add up to four AI players for true five-player battles! 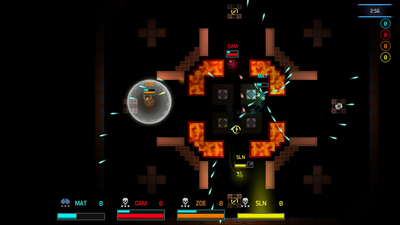 Finally, in Onslaught, your enemies won’t stop until you're defeated, so stand your ground. Survive long enough to unlock new maps. …playing with a full suite of five plays offers moments of exhilarating chaos. As a solo experience, this indie shmup won't win many over with its familiar twin-stick formula, but as a couchplay experience it's one of the most fun spins on the genre we've played on Nintendo Switch. 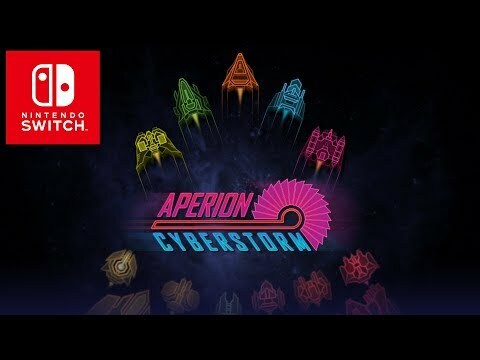 Whether in two-player or with five folks involved, Aperion Cyberstorm is another confident slice of shooter fun from Britain's burgeoning indie dev scene. 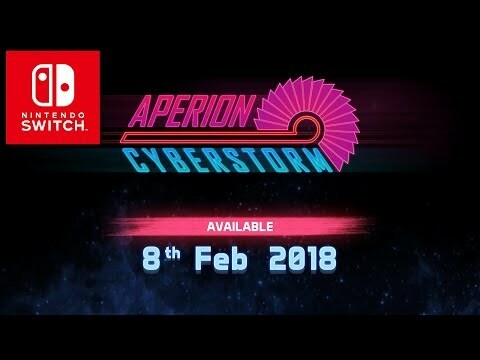 Aperion Cyberstorm is a twin-stick shmup that's pleasing to both the eyes and ears. It's a pretty decent distraction for when you're on the bus or if you want a quick party game. Unfortunately, there's not really a whole lot of variety in gameplay. 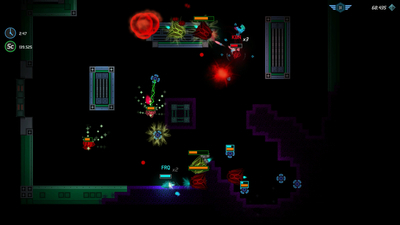 Plus, enemies can sometimes have more health than they need, making the experience repetitive. 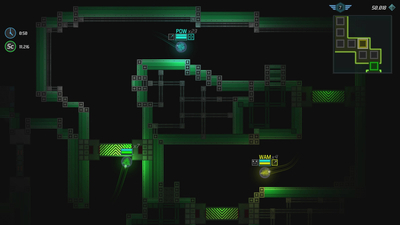 But if you need a twin stick shooter on the go, you could do worse.